The client runs a personal blog that regularly features beauty and lifestyle topics. She wanted a logo and brand identity design that was modern, minimalist, but feminine. 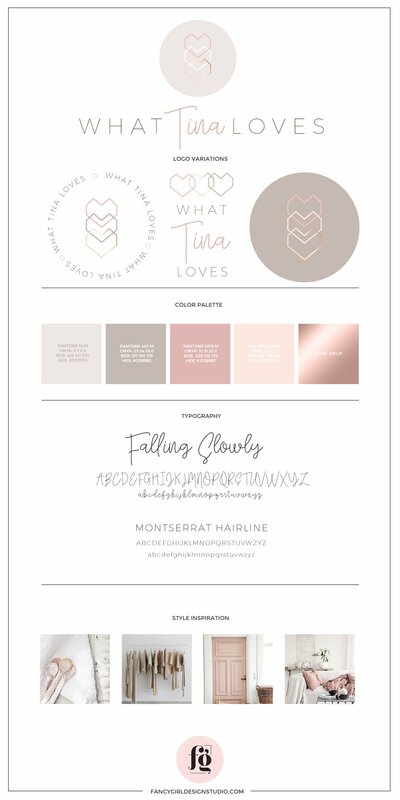 Like all my branding projects, we started with a design questionnaire and a Pinterest board. I love her color palette! Here is the mood board that we came up with based on her pins. 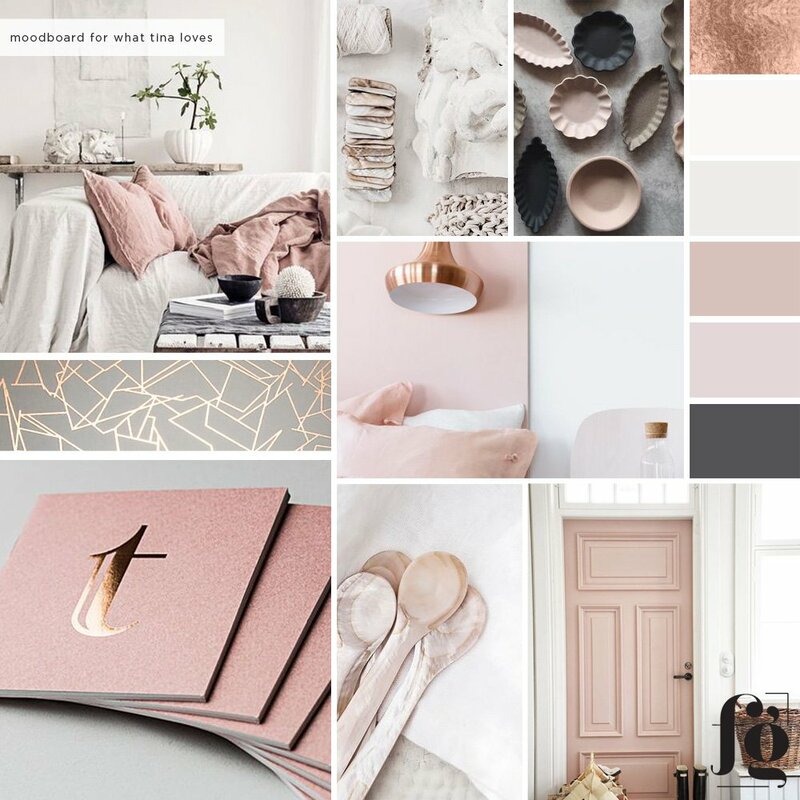 The palette is soft, and light, with lots of neutrals. Here are the initial concepts that I presented her. Tina chose the 2nd set, with a heart icon design that she suggested. It’s so versatile! You can vary the colors and the backgrounds and it will work no matter what. Her brand board shows the clean, minimalist style that her logo conveys. The palette, while feminine, is actually very neutral and looks very light and airy. We chose thin, clean typefaces, and I added wide kerning between the letters of the sans-serif font to further reinforce the modern minimalist aesthetic.